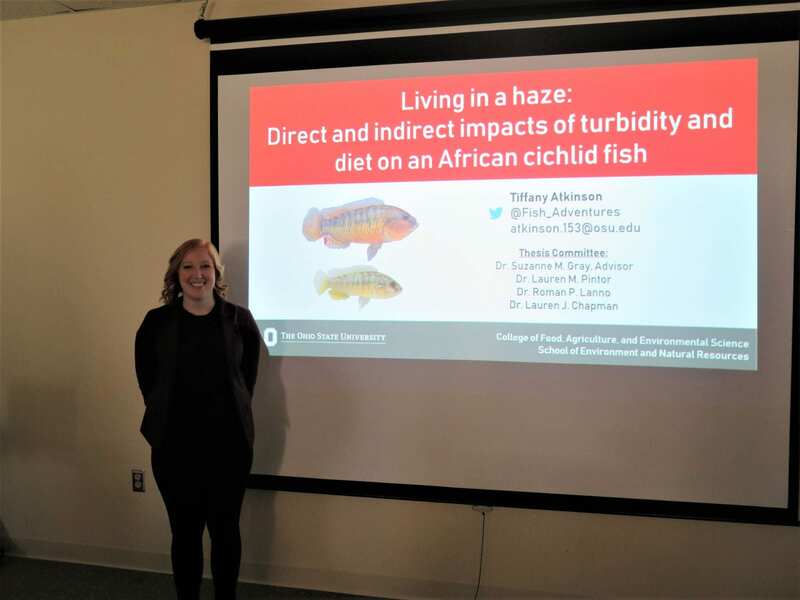 Congratulations to Tiffany Atkinson on successfully defending her Master’s thesis! We are so excited for what the next chapter of your life holds! 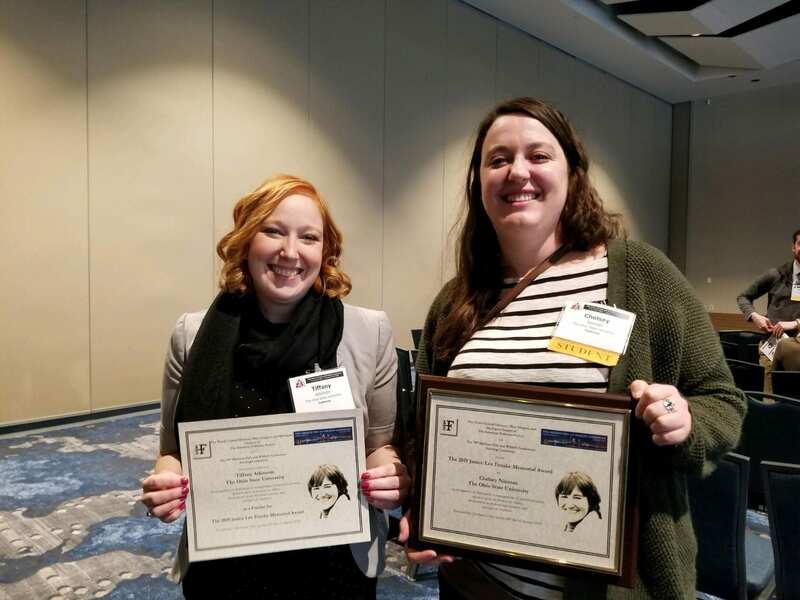 Congratulations to Ph.D. student Chelsey Nieman on winning the Janice Lee Fenske Memorial Award for Outstanding Students! Also, a big congrats to masters student Tiffany Atkinson on being a finalist for the award as well! Keep up being outstanding students in fisheries, ladies! A list of every lab members 2018 highlight! 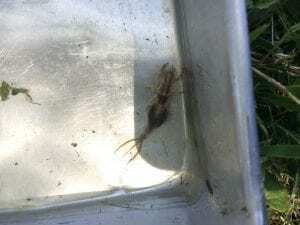 Tiffany: I completely finished collecting data for my Master’s thesis. Rylie: My 2018 highlight is that I decided to start my own Research with Distinction project with the Gray Lab this year. 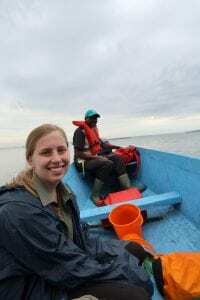 Richard: I secured my first publication looking at differences in behavioral responses between fish with different parental origin, and successfully defended my master’s thesis to graduate with a MS.
Bethany: Skipped my Master’s graduation ceremony and that same day hopped on a plane for Uganda to start my Ph.D.! 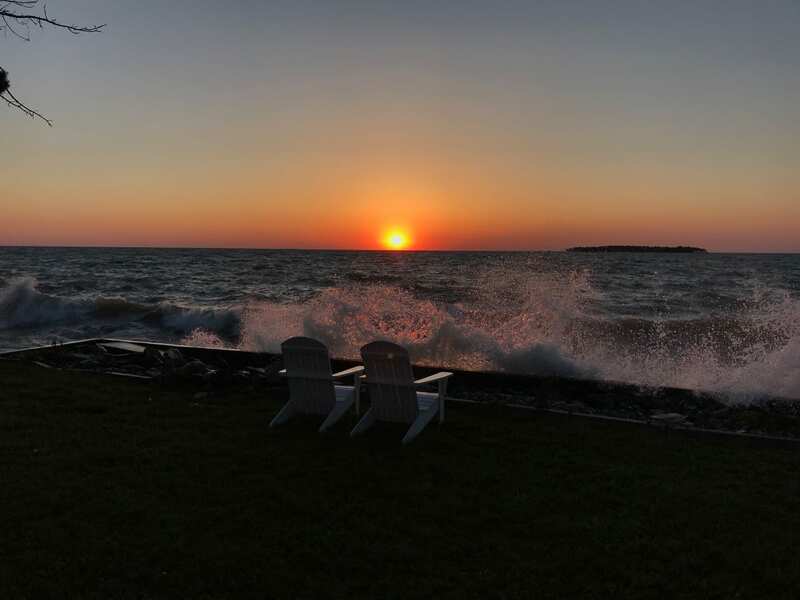 Chelsey: I published two papers on the effects of elevated turbidity on visual ecology of Lake Erie fish and also taught my very first aquatic ecology course. Brynne: I furthered my passion for youth outreach and education by helping teach aquatic ecology to a variety of school groups. 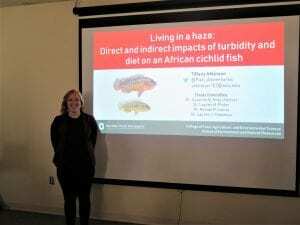 Taylor: Being fortunate enough to have the opportunity to live in Columbus for the summer where I developed and carried out my first independent research project looking into sexual behavior in African cichlids. 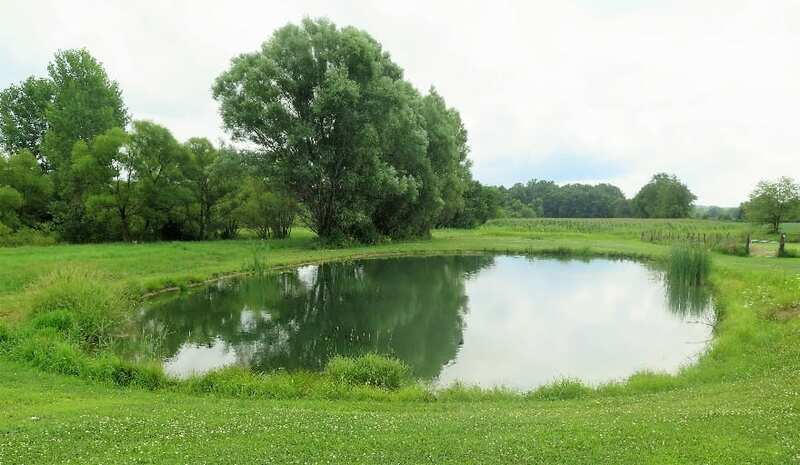 Jeremy: I started my Master’s program at Ohio State University and completed my first field season and semester of course work. 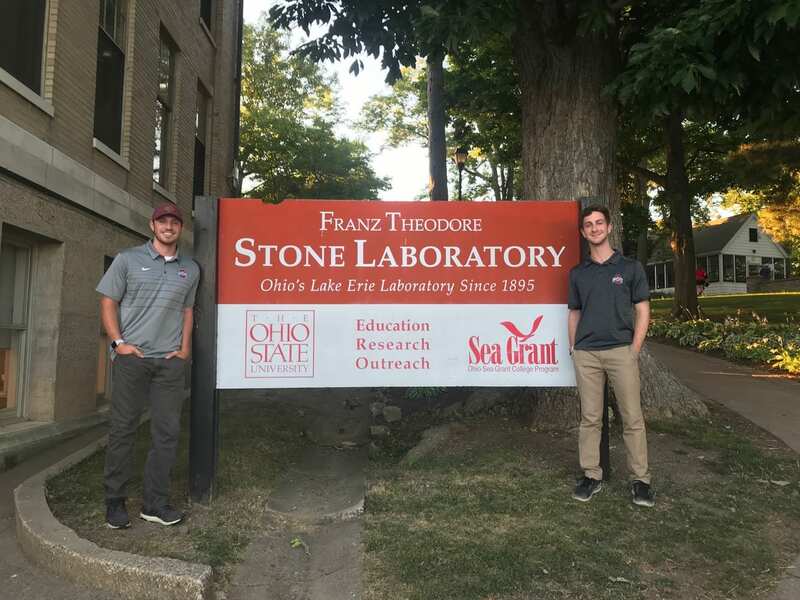 Andy: I was fortunate enough to spend my summer studying how the vision of adult Walleye is effected by increasing turbidity concentrations on Lake Erie, with results indicating that algae may disrupt vision at a much lower level than suspended sediment. Can’t wait to see what new publications, students and research will happen in 2019! Big things coming from the Gray Lab! 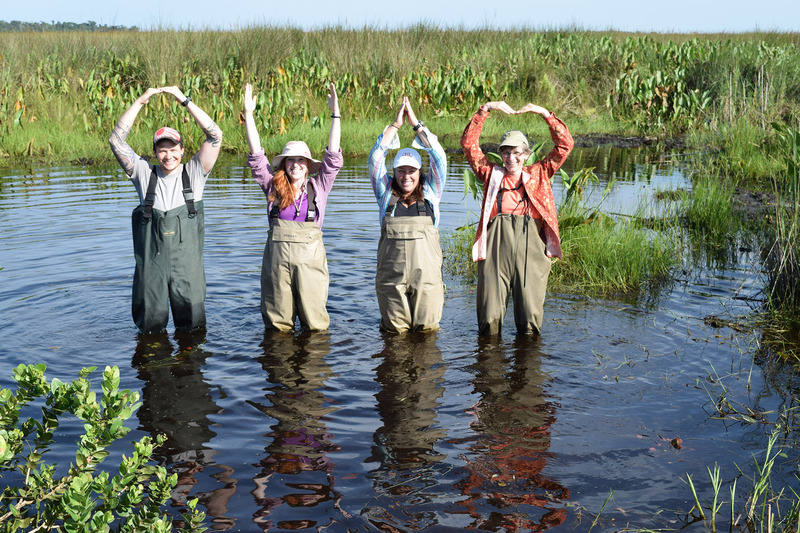 Although the summer field season has come to a close, The Gray Lab is in full swing with lab work! Tiffany has begun swim performance trials on her cichlids reared under turbid and clear conditions. 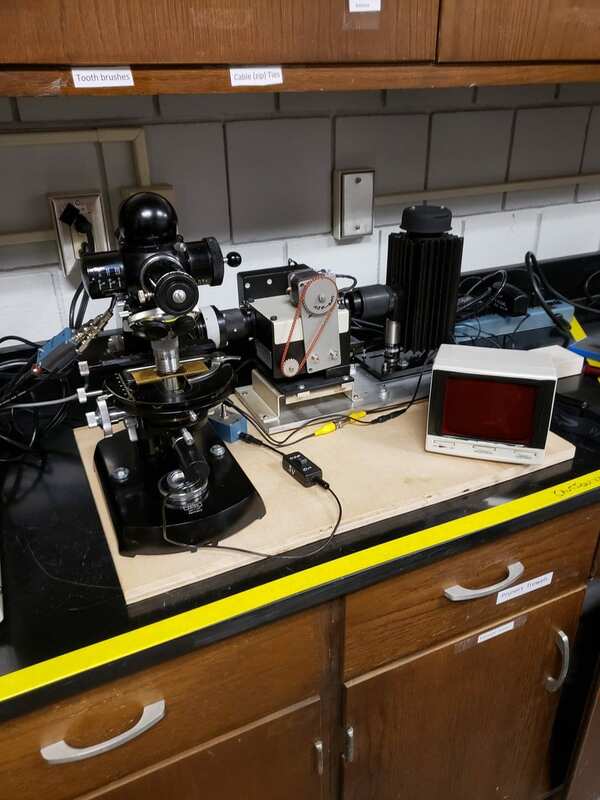 Richard, Bethany, and Chelsey have begun work on MSP (microspectrophotometry), looking at the cones of African Cichlid fish eyes. Chelsey is also diligently writing as well as looking at historic Emerald Shiners dating back to the 1920’s. 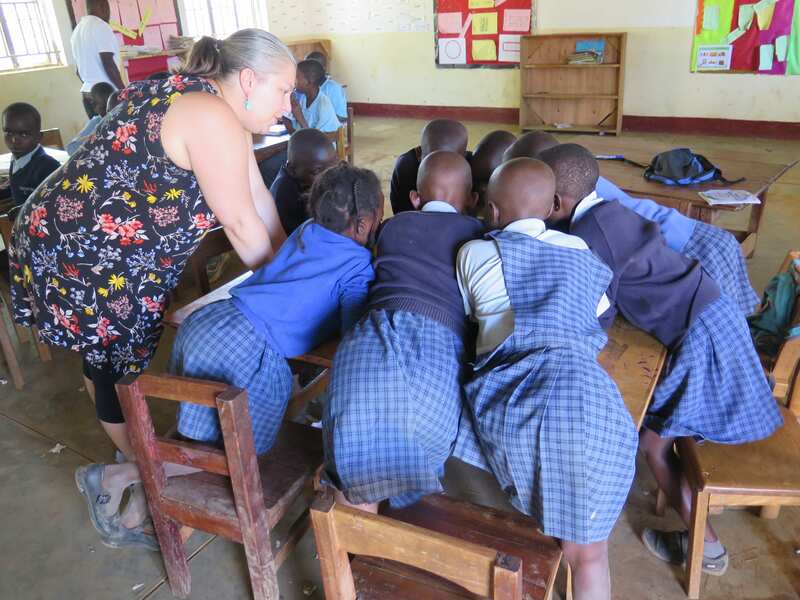 Shib and Jeremy are busy with classes and being Teaching Assistants! Taylor’s undergraduate project has been going great, she even has a few brooders in her turbid and clear tanks! Stay tuned for updates happening this fall and check out our Twitter! Dr. Gray in the news! 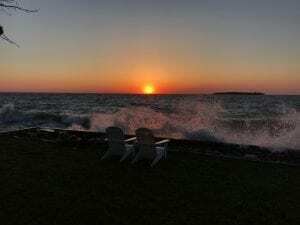 Our very own Suzanne Gray was interviewed recently by Ohio State News about the effects algal blooms on the vision of Lake Erie freshwater fish. This is hot on the heels of our most recent publication. Read the whole interview here and find the link to the paper in our last post! We are excited to finally get to announce our newest lab publication, “Visual detection thresholds in two trophically distinct fishes are compromised in algal compared to sedimentary turbidity” in Conservation Physiology! Over the past few summers, as part of my Ph.D. research, I have had the opportunity to work with undergraduates Andy Oppliger and Caroline McElwain on a project focusing on the visual sensitivity, or ability to determine contrast, of Lake Erie fishes. 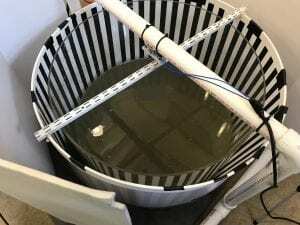 We were able to utilize the optokinetic response, or the innate response of fishes to follow a moving stimulus, to determine at what level of turbidity at which fish can no longer see. 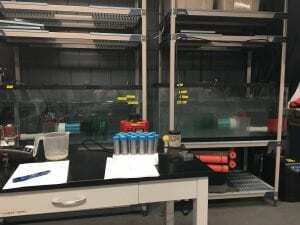 One of our goals was to determine the differences between the effects of sedimentary and algal turbidity on the visual sensitivity of Emerald Shiner and Walleye. 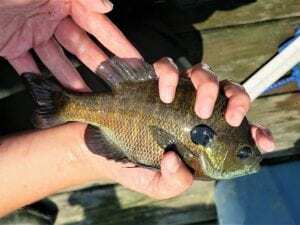 We found that visual detection thresholds, or the point at which the fish can no longer see, were significantly lower in algal turbidity compared to sedimentary turbidity for both Walleye and Emerald Shiner. This summer was the start of a new project in the Gray Lab. I am the Graduate student heading up this research and so far, I have been assisted by Christian Bower, Chris McMahon, Taylor Hrabak and Brynne Drohan. 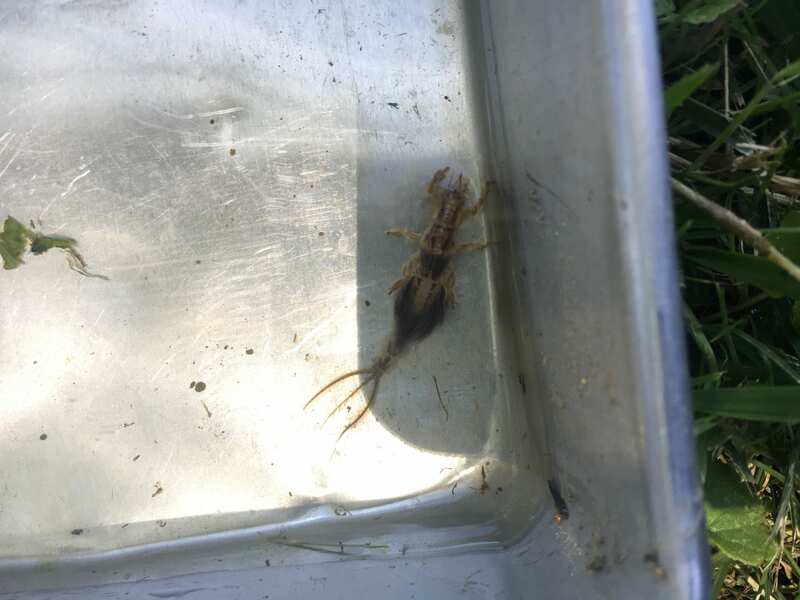 Our fieldwork consists of monitoring water quality, macroinvertebrate community structure, and the general condition of fish populations across a gradient of managed and unmanaged ponds. We spent our summer collecting data and water samples in the field for one week and then running tests on the water samples in the lab the following week. The data we collected this summer will provide a solid baseline for further studies looking at the effects of pond management on the resident fish populations. My name is Andy Oppliger, I was fortunate enough to spend my summer at Stone Laboratory studying how turbidity (i.e. suspended particulates in the water column) alters the visual ecology of Lake Erie Walleye (Sander vitreus). 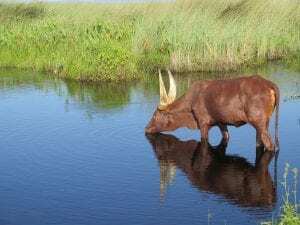 The ability of an animal to distinguish between an object and its background (i.e. visual sensitivity) is expected to be altered by increasing turbidity due to both decreased light penetration and a change in the color of light underwater. 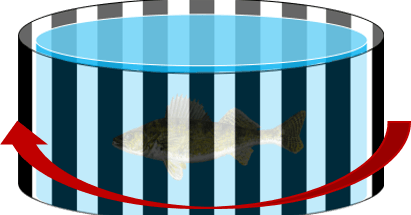 My objective is to determine if varying turbidity types – algal or sedimentary – differentially influence visual sensitivities of adult Walleye. 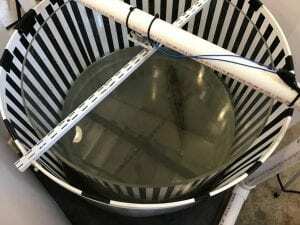 To determine how visual sensitivity is impacted by turbidity, an optomotor response apparatus was constructed (see photos below) to establish visual thresholds. 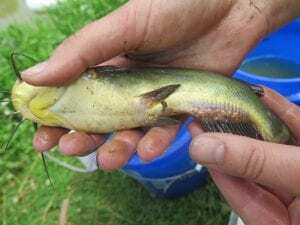 This study contributes to our understanding of how Walleye populations may respond to changes in Lake Erie’s turbidity. 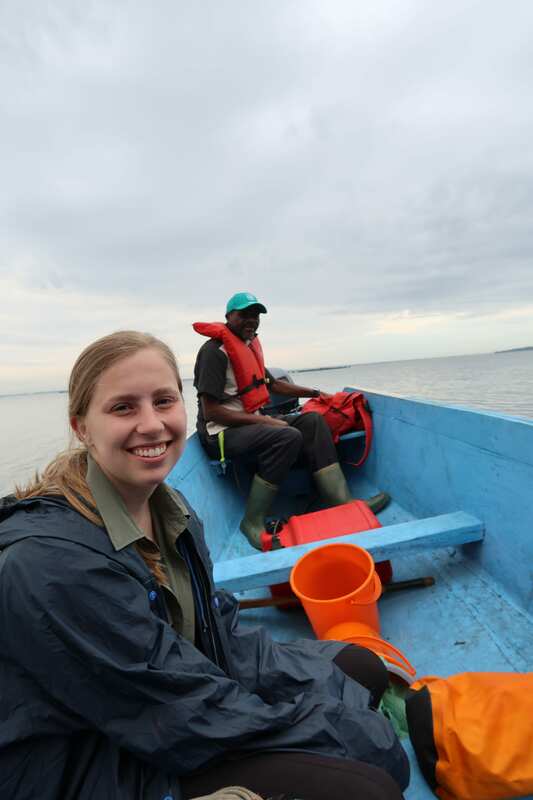 This summer I had the opportunity to spend a pre-enrollment field season in Uganda to prepare for my PhD in the fall. 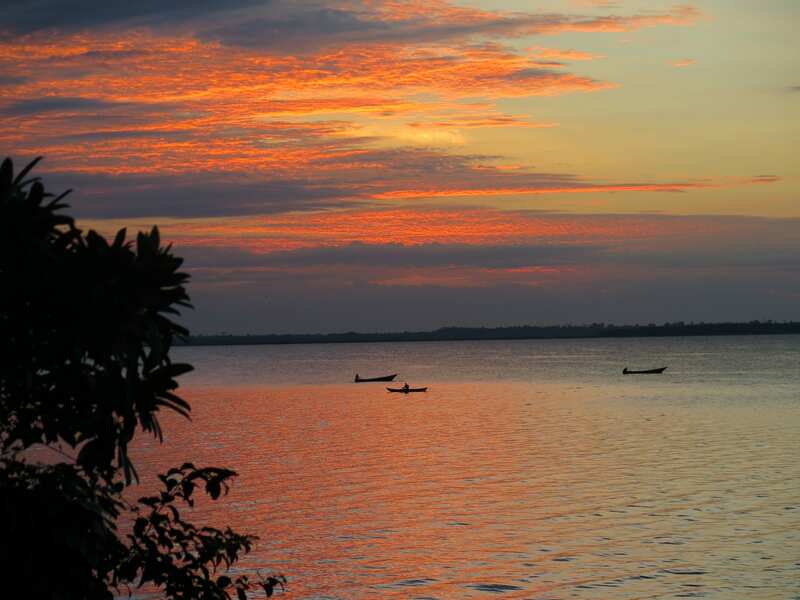 Our field station was set on stunning Lake Nabugabo, nestled against a rural fishing village. Days on the station were spent driving or boating to swamps where we collected a species of cichlid, known in the lab as Blue-Lips (Pseudocrenilabrus multicolor). This cichlid is easily recognizable by its namesake bright-blue lips and ability to survive in various extreme conditions. 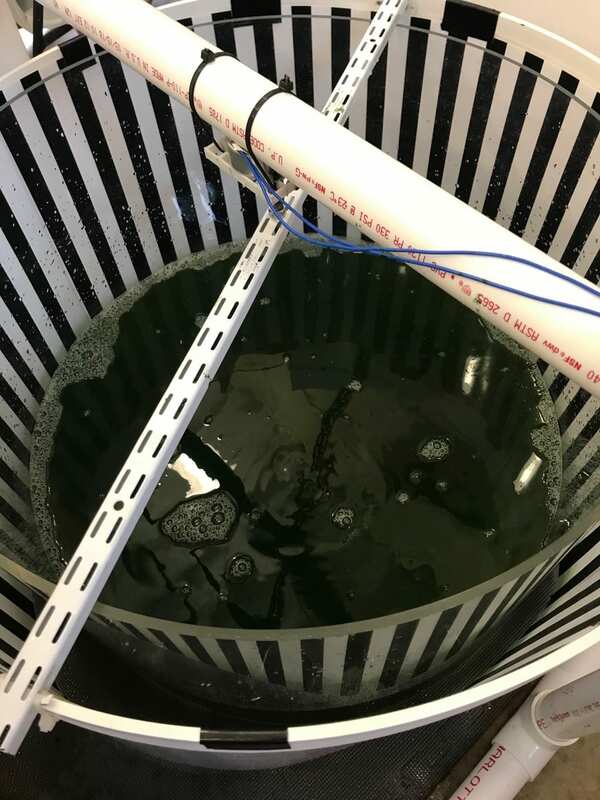 While on station I ran behavioral experiments testing whether water turbidity affects female mate choice when given the option of a male from her population or a male from a population with differing turbidity. My PhD will investigate the physiological and behavioral traits used by this species to survive in stressful environments. drohan.5 on First Gray Lab Publication!